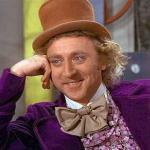 I don't recall any riots. Criticizing him on social media, and even seeing if there is a technical disqualification you can calmly take through the courts is completely different. 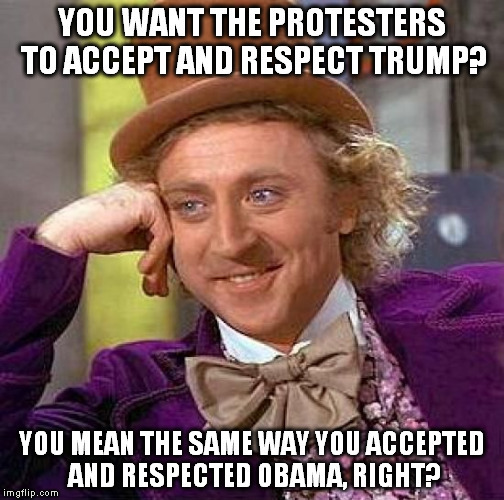 YOU WANT THE PROTESTERS TO ACCEPT AND RESPECT TRUMP? YOU MEAN THE SAME WAY YOU ACCEPTED AND RESPECTED OBAMA, RIGHT?